THE MINUTES, RSAG, The Statics, and Galway acts Oh Boland and Chris Haze play The Jägermeister Freezer Sessions 100 Series in Monroe’s Live on November 14. Galway has been selected by Hot Press and Jägermeister as one of four locations across the country to host the sessions, and tickets for the event are free. The Minutes have been hailed as “the greatest rock’n’roll band in Dublin” by British magazine Artrocker. The urgent, fuzz-laden, garage rock of Mark Austin (vocals/guitar ), Shane Kinsella (drums ), and Tom Cosgrave (bass/vocals ), has earned their albums, Marcata and Live Well, Change Often, much praise, while their live shows have generated equal enthusiasm. RSAG, Kilkenny musician Jeremy Hickey, sits at his drums and sings, while behind him on screens, Hickey performs on other instruments, accompanying himself in a constantly moving visual and soundscape collision. 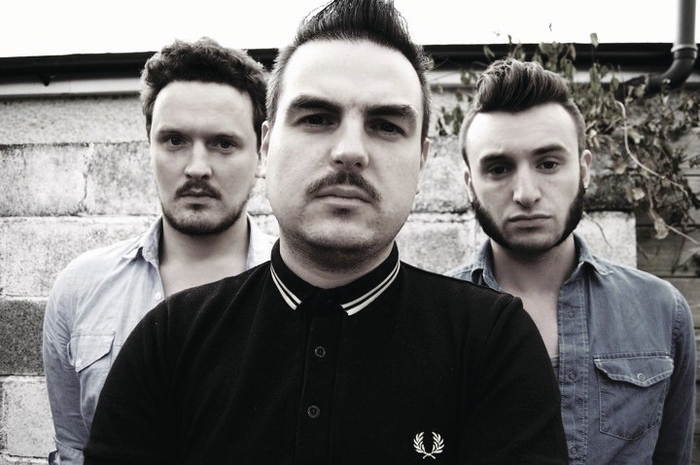 Inspired by The Beatles, Arctic Monkeys, and The Everly Brothers, Dublin quartet The Statics have earned praise from Pugwash and the Duckworth Lewis Method’s Thomas Walsh, who reckons they are a band on the rise. Oh Boland marry the energy and rawness of early punk, with slice o’life lyrics, and a peculiarly Tuam sense of humour. The trio have impressed many over the past 18 months and are currently working on their debut album. Check out their EPs on Bandcamp. Galway born, Dublin based, Chris Haze fuses soul, hip-hop, and a touch of Ed Sheeran confessional singer-songwriter in his music. Haze taught himself guitar in 2011 and immediately began writing his own material. His first demo featured London hip-hop artist Lexeeeee and he has maintained that genre connection, collaborating with Bitter Rocc extensively. Free tickets are available through hotpress.com/thefreezersessions Those going to the show will receive the free Freezer Sessions album, featuring the acts playing at the gigs.